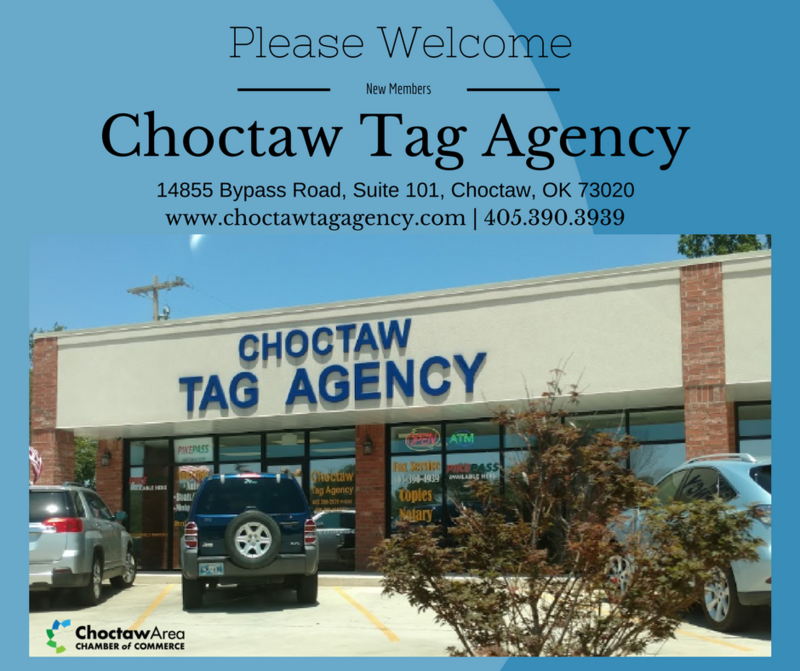 Join us in welcoming our newest member Choctaw Tag Agency, located at 14855 Bypass Road. They are a full service Oklahoma Tag Agency offering a variety of Motor Vehicle, Driver License and other state services. Visit their website here.